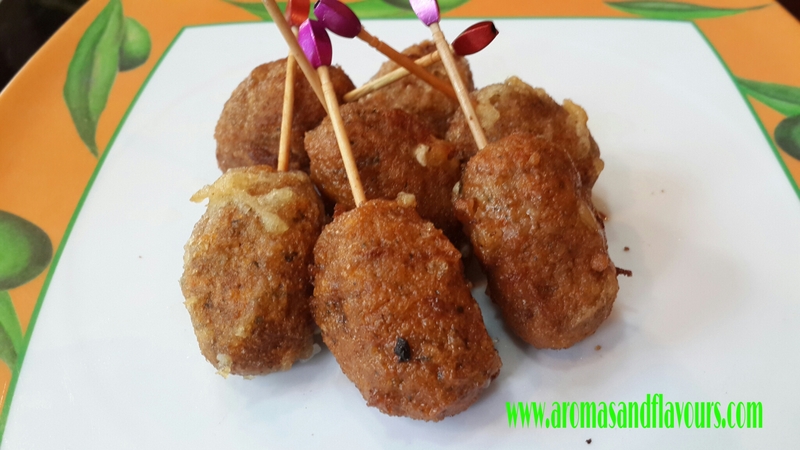 Cheesy chicken pops are excellent butlered hors-d’oeuvre for a party menu. 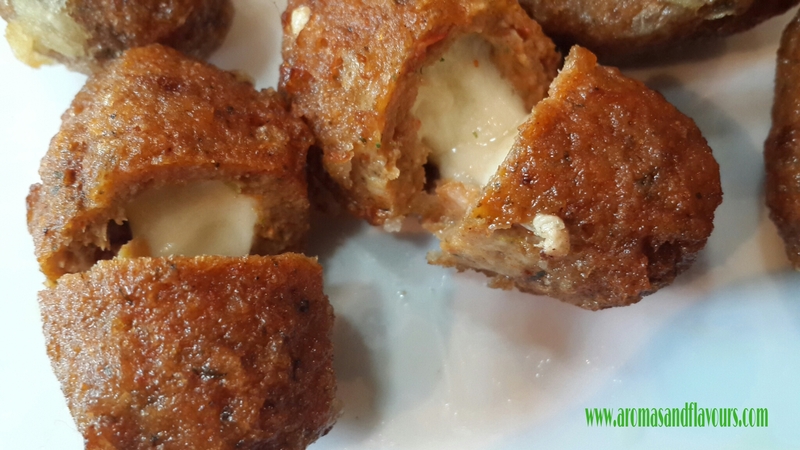 These delicious, cheese oozing bite-sized appetizers are just ideal for big parties where there is lot of mingling around and there is still time for the main course to be served. They can be prepared in advance, even a couple of days prior to the party and stored in the freezer,thawed and fried just before serving. 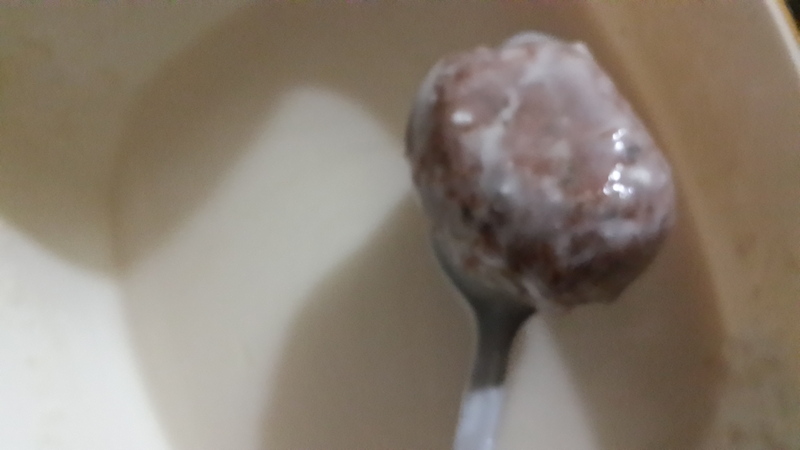 Mix all the ingredients and grind without water.Make small balls with this dough. 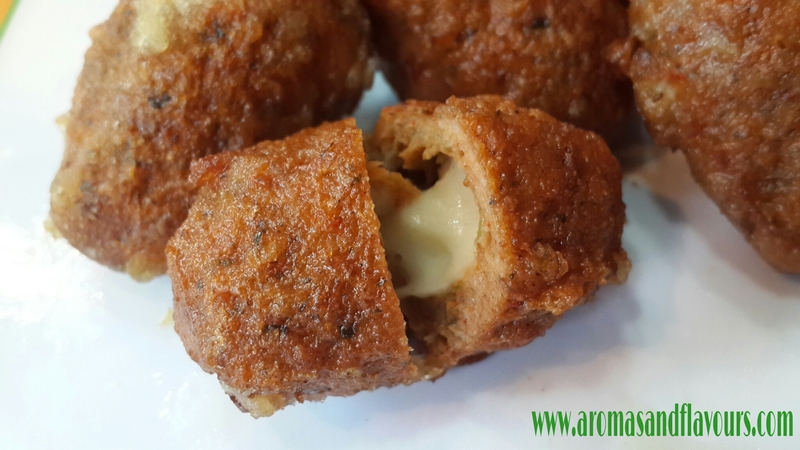 Make a hole in each chicken ball.Stuff each chicken ball with some cheese and seal it with the same dough. Combine all the ingredients to make a smooth dipping batter. 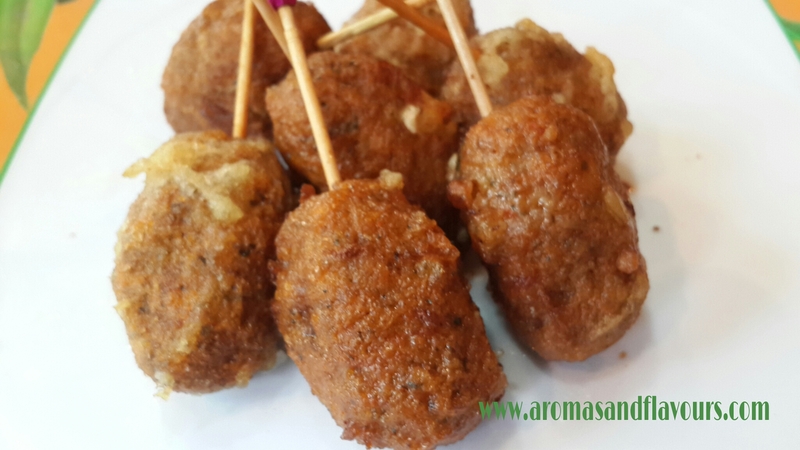 Dip each chicken ball in the batter and deep fry in medium hot oil. Serve hot with or without a sauce. Enjoy…. OMG! I so wanna taste it!!! I know 🙂 My kids loved them too. Anything with cheese and it becomes a favourite with them. Thanks dear 🙂 I love anything with cheese in it. What an amazing appetizer! These look so delicious I am definitely pinning them. Crystal toothpicks? I never knew such a thing existed! Definitely party worthy. Thanks Angie 🙂 It gets really popular with the kids.Do let me know when you have tried them. I am rushing to see what you have brought. I’m thinking that those pics are too pretty to use as toothpicks, but maybe to secure a wrap of some kind? That would definitely be over the top! Oh my goodness this is incredibly yummy! Well done madam, well done! Haha 🙂 Thank you so much. 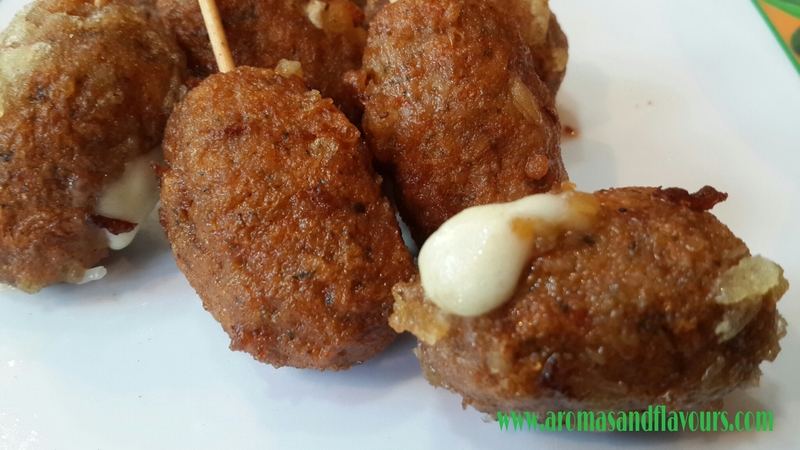 Any appetizer that can be made ahead of time are high on my list of ones to make when I entertain… yet, these chicken pops are at the top of that list thanks to the delicious flavors you offer! 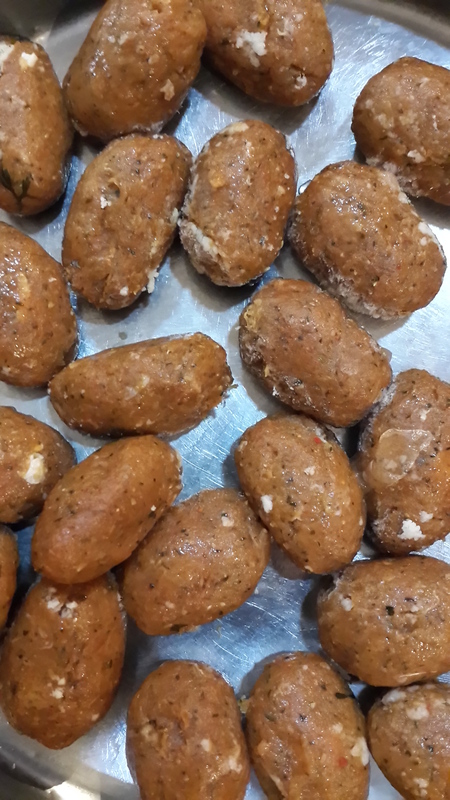 I love everything about them… from the “stick” to provide ease of eating, to the masala flavor, to the cheese… well done, skd! ❤ Delicious! These appetizers are making me hungry. Thanks for bringing them along to the party. 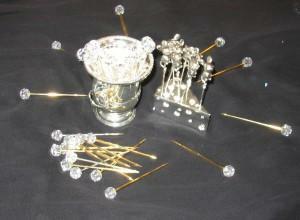 And those pretty little crystal toothpicks. I must get some for my next party. Happy Fiesta Friday. Ooh these look really good, I’ll definitely want to help myself to some of these!! These sound so good! I think my son would love these! Thank you so much Linda ☺Have a wonderful weekend too. Thank you so much Selma☺ Aren’t they so elegant. I think we can crumb coat and bake them. I am not sure how the flour batter will take to baking. Have you tried the AirFryer? I have heard it is close to deep frying without the oil. I was thinking crumb coat as well – when I give them a try, I will let you know! Air fryer? I must look that up! Now this is a FUN appetizer. Yum!! Thanks for sharing! I want to eat these NOW. All of them. I am so serious right now. ALL of them. Oh my goodness! Just the sight of these made me moan. They look wonderful, no way I could stop at one!